Whether you’re a residential or a commercial landlord or tenant, you’ll want to protect your interests by using a written lease or monthly rental agreement. Written rental documents are an essential way to memorialize key aspects of the rental deal and prevent misunderstandings. 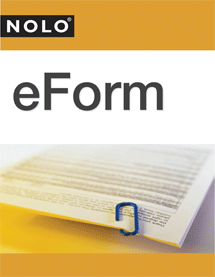 Landlords and tenants can use the tear-out forms contained in the Nolo books featured below, or choose instead to complete their rental documents online. Either way, you’ll know that relations with your tenants or landlord will be off to a good start, with clear, concise, and plain-English explanations of everyone’s rights and responsibilities.